Eight members of the Fitzroy History Society began collecting interviews in 2015 under the title, ‘The Life and Times of Fitzroy from the 1950s’. Together, Marion Glanville, Alison Hart, Meryl Hyde (Deceased), Tony Knox (Photographer) Meg Lee, Mary Lewis, Hilary McPhee, Rosa Simonelli, Marijana Vanevski and Peter Woods produced these 23 audio files, transcripts and photographic portraits for the Local History Collection of the City of Yarra Library. Successful applications for two grants from the Bendigo Bank, together with assistance and support from the City of Yarra, Arts and Culture, has enabled the Fitzroy Oral History project webpage to include promotional videos featuring 5 interviewees, as well as the 23 transcripts and audio files of the 23 participants involved. Paul and Anne Coghlan lived in North Fitzroy and Fitzroy in their early family life. They became very involved in community matters and in 1974-75 Paul was Mayor of Fitzroy. Anne was instrumental in the reshaping and relocation of the Isobel Henderson Kindergarten among other community educational improvements. The interview describes the community of Fitzroy and North Fitzroy in the early 1970s, the expansion of St Vincent’s Hospital and the nature of Gertrude Street. There is a wide range of Council improvements discussed. These include the opening-up of meetings to the community, the struggle to save Brookes Crescent from Housing Commission demolition, the dilemmas with old planning laws and developments, improvements to road and traffic management, Edinburgh Gardens, the F19 freeway, the transformation of the local library and the establishment of community based child care. Discussion of Paul’s Chinese ancestry and beginnings in Creswick are also interesting. Barry and Margaret Pullen talk about their house purchase in North Fitzroy in 1971 when a young married couple. Significantly they discuss their involvement in the community response to residents’ fear of losing homes through imposed demolition orders from the Housing Commission. They also discuss the nature of the surrounding community and their actions to improve facilities and democratise council meetings. Brian and Renata Howe arrived in Fitzroy following their University years and study for the Ministry in Chicago. Interested in Saul David Alinsky and community organisation, Brian began to apply these teachings when appointed to the Ministry in the Methodist Church. The interview describes a wide range of consequential influences and changes within the community, including negotiation between the Presbyterian and Methodist churches forming the Uniting Church. The interview describes the congregations and the Hungarian refugee presence in the 1950s, their needs and the services provided by the church. The conditions of schools, especially North Fitzroy Primary School and resourcing are discussed. While at the Napier Street church Brian and Renata set up CURA (Centre for Urban Action and Research) and with assistance of grants and donations they provided analysis to support community organising for the creation of services to be run by the local community. This included assistance with saving Brookes Crescent, establishing the Housing Commission Tenants Association, ethnic groups and the Italian community in Coburg, the Eastern Freeway and a Migrant Women’s Unit within the Trade Union Movement. In addition, they produced an ABC Four Corners Program on women’s working conditions. Bruce Pitts opened the first specialized exhaust workshop in Melbourne in the mid-seventies at 67 Johnson Street, Fitzroy where he still operates, making good use of the laneway system behind the building. 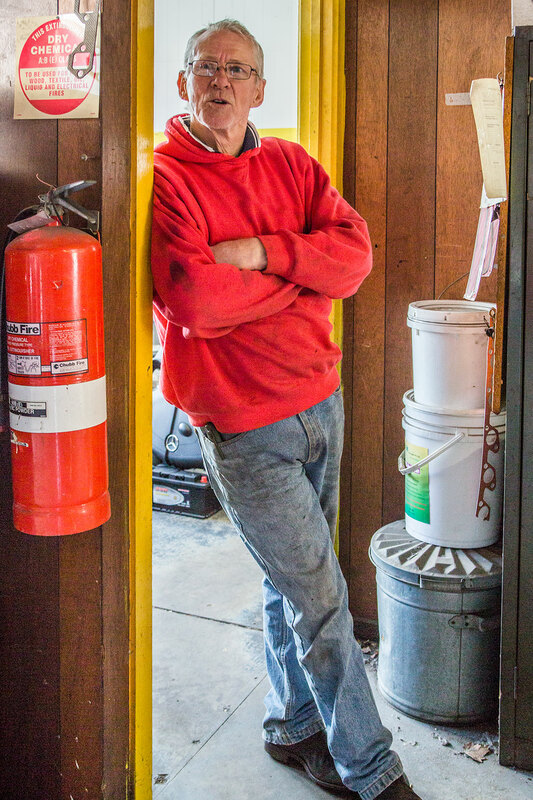 His vantage point, repairing neighborhood cars and motor bikes, employing mechanics and apprentices, allows him to acutely observe the local scene and his changing industry. His wife’s first job was at Moran & Cato’s in the next block. Bruce vividly recalls the days when the pubs and cafés were run by Italian and Greek families, before the arrival of flash food and speeding bicycles, when the coppers had annual wind-ups in the lower Town Hall and the bank manager came to visit. Chris Friday was a teacher at North Fitzroy and Fitzroy Primary Schools in the 1970s and later trained in Special Education. Chris talks about her time teaching in Fitzroy schools and also about the changes that have taken place in street-scapes and businesses and the general gentrification of the area, including housing and demographics, over the last 45-50 years. 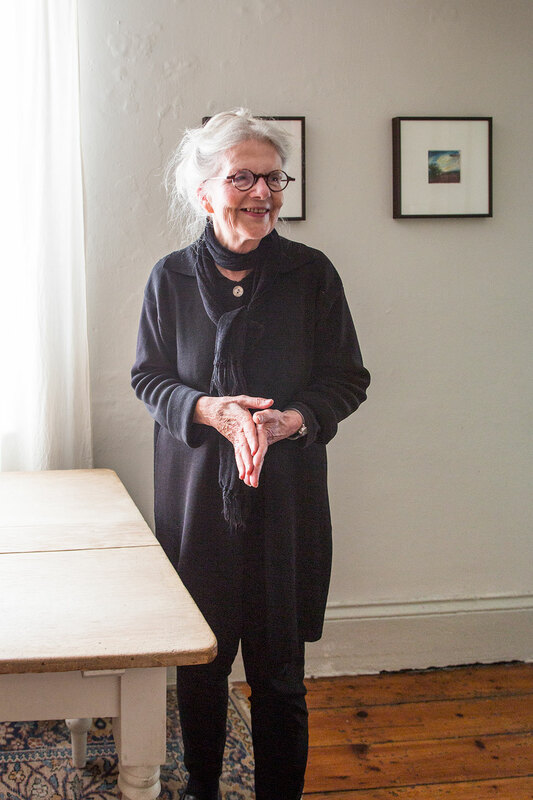 She was also heavily involved with the Fitzroy History Society from its inception in 1982 and has lived and owned houses in the area since the 1970s. Dorothy McInroy’s mother left an unhappy marriage in the country and moved with her six children into Argyle Street, Fitzroy when Dot was eleven. She tells of her family, her schooldays and her working and social life, and of the local characters she met during her long and happy marriage to Mac – and the tragedy that exploded into all their lives in 1962. Ivy Dawson has lived in Fitzroy for 74 years, moving into 62 Gore Street at the age of 12 (a house which she and her husband eventually bought for £1500). She left school at 12 and kept house for her father and by 14 was working in the first of a variety of jobs, including cleaning, cooking, child-minding and waitressing, until she retired at the age of 62. She speaks about raising her four children in Fitzroy and the positive changes brought to the suburb with immigration. She also talks of some of the old Fitzroy characters, and the general hardness of life back when she was young. While she speaks about the men drinking and domestic violence, she feels herself fortunate to have had a good man, and raised their four children successfully where they could see “the other side of life” and realise that life for everyone “wasn’t all stars and roses”. Laurie O’Brien lived at 35 Hanover Street from 1957 to 2002. Laurie is a foundation member of the Fitzroy History Society. The architecturally significant House at 35 Hanover Street with a National Trust Heritage Register State Classification BO 167, came under Housing Commission demolition orders yet it was saved. This is that story. Menka Simmonds arrived in Australia in 1948 from Macedonia and due to the need for her mother to work, left school after only two and a half years to look after her little sister. One of her early employments resulted in Menka organising acceptable working conditions for her work colleagues. In 1964 her father was purchasing the contents of houses when residents moved out and opened a furniture restoration shop in Gertrude Street. Menka became the accountant and then managed the shop. Despite the very hard and long working days, she enjoyed the work and the personal interaction with both those customers selling and those buying in the shop, which developed into an antique boutique. Menka’s family life for many years was strongly influenced by, and had influence in, Melbourne’s Macedonian community. She now puts a great deal of effort into raising money for Rotary by organising of functions, one of which is her annual cooking of a Macedonian meal. She has won an award from Rotary, their highest honour, for her long-standing efforts. Pat DeRango’s mother came from Tipperary in Ireland, and towards the end of their life her parents lived in Hanover Street where she was born. As a child she did not venture far from home and was forbidden by her parents to cross Brunswick Street or go to Gertrude Street due to particular tough men who frequented the Champion and Rob Roy hotels. After marrying Louis DeRango, they spent a short time living in outer Melbourne. It made them realise that Fitzroy was their real home and they returned, initially renting, then buying, the house they have lived in for 47 years in King William Street. Pat remembers many of the local shops and owners along Brunswick Street and the commercial shops/factories in Hanover and King William Streets (woodyards, a funeral parlour, a tailer, bootmakers, dairy’s, SP bookie and brothel houses). She remembers the changing ethnic groups that came to call Fitzroy their home suburb; Italians then Greeks, Vietnamese and most recently Africans. Mostly she values the sense of community despite this changing social mix. 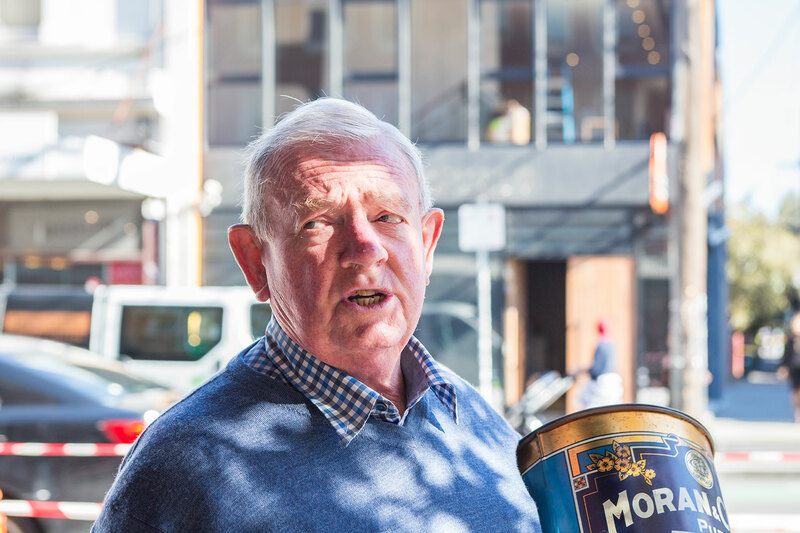 Peter Williams speaks about the history of Moran & Cato’s manufacturing grocers and wholesalers located in Brunswick Street Fitzroy, which was the centre for a large grocery chain throughout Melbourne and Victoria from the 1880s to the 1960s. Both his grandfather and his father worked there over a period stretching back to early last century. He describes his memories of visiting his father at work in the late 1940s and 1950s and other memories of a variety of Fitzroy businesses of the time. Rose Chong describes herself as “a maker”. She studied dressmaking and then design at an art school in the UK, and opened her costume store on Gertrude Street in 1979, making costumes for the film industry, and for rental for parties or other occasions. In 1979 the area was rough with both heroin addicts and boozy customers at local bars. That has changed, and new businesses have made their contribution and the demographic of the population has changed too. She is pleased that the area maintains its diversity, and the popularity of the Projection Festival (begun in 2008) is attracting more artists. Rose Mary Brondolino, who conducts a law practice in Fitzroy, talks about her very early years in southern Italy before she came to Fitzroy in the mid-1950s. She provides anecdotes and descriptions of her childhood growing up in Fitzroy as an Italian migrant from 6 years old, the traditional preparation of food, various festivities and celebrations and family views on politics and religion. 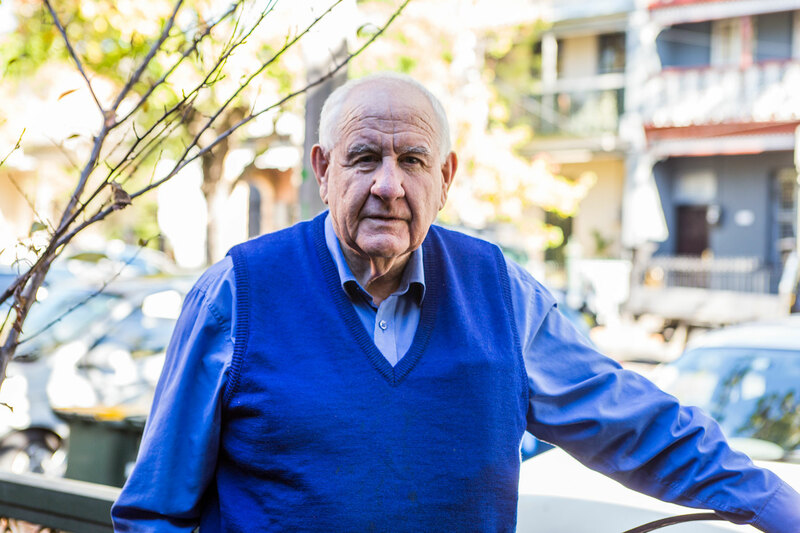 Sam Marasco came to Fitzroy as an 18-month old from Calabria in the mid-1950s and has lived here ever since. He talks about his childhood, games they played, the street life and selling papers from the age of 6 or 7 and collecting beer bottles for money. He was heavily involved with the local community and the football clubs and reminisces about his school days, the formation of the multi-ethnic Fitzroy Stars football club – which integrated migrant and indigenous players and later became a well-known fully indigenous team. He talks about the days when Fitzroy still played at the Brunswick Street oval, about the changing street-scapes and gentrification and about the origins of the thriving Arts and music community in the 70s and the interesting personalities who grew up in the area and later became well known in the Arts. Sister Fidelis and Sister Amalia are Sisters of the Missionaries of Charity, part of a small group who came out to Fitzroy from India in 1970 with Mother Teresa to open a community house in Gore Street Fitzroy, at the invitation of Archbishop Knox. They talk about conditions in Fitzroy at the time and their charitable work in Fitzroy, mostly amongst the lonely, the homeless and alcoholic men. They provide many anecdotes of people they have worked with over the years and the changes they have seen, including the growing prevalence of younger people with drug issues. They also talk about differences in working with the poor in India and the contrasts of physical and spiritual poverty. Beginning in 1972, Sister Bridget and Sister Rosina of the Sisters of Mercy have taught the waves of new migrant children coming to Fitzroy. The children may not have had any English, but they wanted to learn. “They were terrific.” Unlike the enclosed Sisters of old, they would visit people in their homes – with an interpreter if needed. At first they would then return to silence, but that is no longer the case. They were enriched by all the cultures and customs, and recount many happy memories of their time in Fitzroy. Sam Stasinopoulos came to Australia from Kalamata in Greece as a young man. He saved his airfare after he left school at twelve by doing deals with tourists in Athens and landed in Melbourne where he quickly found work as a carpenter. He kept saving and started buying derelict shops and houses around Fitzroy in the sixties and seventies, including the house he still lives in with his son Nick. He married Georgia, a young Greek girl and they had four children. Georgia died three years ago and her massive funeral was a testament to the family’s standing in the Greek community. Suzanne Dance completed her Architectural degree before working in the Government Architects office in Sydney where as a recent graduate, she worked in a team designing schools alongside several well-known architects. Returning to Fitzroy in the 1970s, Suzanne became immersed in community life due in part to the Whitlam Government policies which allowed those on small incomes the opportunity to share accommodation and income and so devote time to community activism. Separate to architectural design work in professional practices, along with her fellow professionals she fought against Council officers encouraging demolition of Fitzroy’s houses, and with like-minded Councillors, established the Urban Conservation Advisory Committee and the Historic Buildings sub-committee. This committee catalogued all the buildings in Fitzroy, setting up a rating system which the Council used when redevelopment was proposed. They also prepared submissions and appeared at hearings before Fitzroy Council on all redevelopment proposals that involved significant buildings. To assist home owners with conservation of their homes, Suzanne and others then formed the pro-bono Architectural Advice Service publishing articles and advising on preservation of the houses. Ted Rush came to Fitzroy in the 1970s and soon became heavily involved with the Council through the ALP, before becoming Mayor after only three years. He talks about the work of the Council, changes to a more socially oriented community agenda and the origins of the Free Kindergarten movement and the work of various activist personalities in the area. He speaks about the creation of a communal backyard across four neighbouring terrace properties and the benefit to children growing up as well as general changes in the area over time. 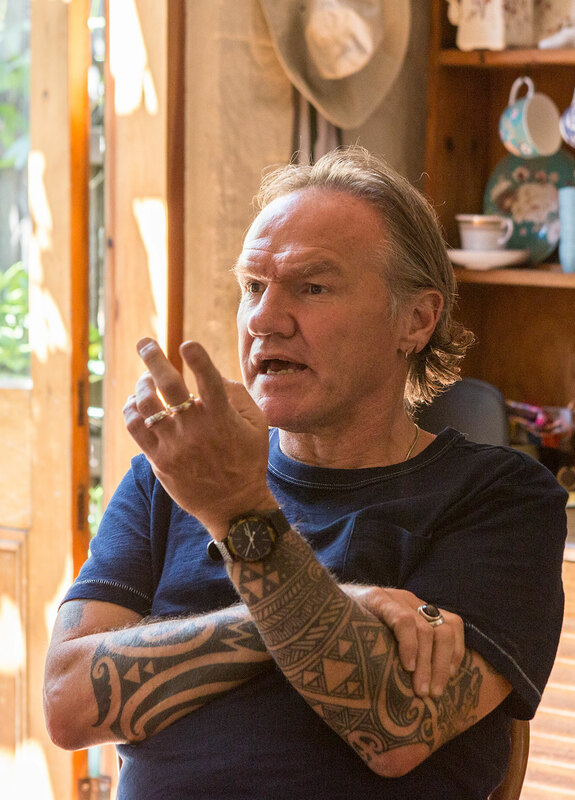 Tony Birch is a novelist, poet and short story writer who often draws on his childhood growing up around Fitzroy and Collingwood for his writing. Born in 1957 in Carlton, he speaks about the Housing Commission demolitions in Carlton and the Atherton Estate in Fitzroy, both of which dislocated his family, and the deleterious effects of slum demolition on the social fabric of both the extended family and the wider community. He discusses his schooldays, the social fabric of the time and place, and particularly the role of strong women in the community who held the family and the community together, often against overwhelming odds. He provides many stories and anecdotes, both amusing and tragic, about the harshness, domestic violence and poverty of multi-cultural life in the inner city in the sixties and seventies. He is acutely observant of the unwritten social rules which govern how people interacted. Antoni Shapardanis (Tony) was born in 1938 in Bouf (now Akrita) a small town only a few kilometres from the Yugoslav border. Tony’s father, Chris Shapardanis, emigrated to Melbourne in 1939 leaving his wife and 6-month-old baby behind. The war intervened and Tony’s mother died when he was 4 years old, forcing him to fend for himself. He arrived in Australia in October 1950. He was one of the ‘lost’ Greek children brought out by International Red Cross from Belgrade in the former Yugoslavia, to be re-united with their families in Australia (during the Greek Civil War many Greek children were removed from Northern Greece). After arriving in Fitzroy, Tony sold newspapers in the streets of Fitzroy and was later apprenticed to a shoe maker and attended night school at the Collingwood Tech. He then established his own business in Gertrude Street. There were many shoemakers in Gertrude Street and competition was tough, but after Tony patented a design for motor cycle boots, his business took off. Later he had contracts for shoes and boots with Victoria Police and the Post Office. Tony met his future wife Mary [Marika Aitsini] at a Macedonian dance in the Fitzroy Town Hall. Mary’s family lived opposite Tony’s shoe shop. They were married in 1962 and have one son, Peter, who now runs a Computer Services business in the same Gertrude Street building in which Tony started his shoe shop all those years ago. Val Noone and Mary Doyle have lived in the same house in Gore Street since the 1970s. They began their time in Fitzroy with an open house which included homeless people and draft resisters in King William Street Fitzroy in late 1971. With others and support from local churches they then established a communal house in Gore Street. They made the feature of having an evening meal to which anybody could come. This was an innovative way to support individuals in difference to institutionalised care and support systems. They speak about their work in Fitzroy and the changes they have seen over nearly fifty years living in the same house and working in the area, and provide numerous interesting anecdotes about their neighbours and many of the businesses which used to operate in Fitzroy.